With winter weather right around the proverbial corner, it is crucial to check the safety of your car tires. Fairfax Station, VA, drivers can depend on the ASE-certified mechanics and Goodyear-trained tire specialists for all of their winter car care. 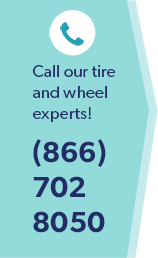 The National Institute for Automotive Service Excellence (ASE) says while “regular, routine maintenance can help improve your gasoline mileage, reduce pollution, and catch minor problems before they become big headaches,” worn or damaged tires in Fairfax Station, VA, are downright dangerous in slick winter road conditions. No matter what type of vehicle you depend on for reliable transportation this winter, you have to rely on the safe performance of your brake system and your tires. Why leave your safety (and that of your passengers and others sharing the road) to chance? Find out with a quick professional brake and tire inspection at Wiygul Automotive Clinic. The trained automotive service experts at Wiygul Automotive Clinic will inspect your vehicle tires near Fairfax Station, VA, determine the estimated remaining tread life, search for signs of uneven wear or cupping, and examine the tire sidewalls for abrasions, scars or blemishes. We’ll give you a full diagnostic report and help you make the right decisions about caring for your tires. Fairfax Station, VA, drivers also need to check tire pressure once a month when tires are cool. Remember to check the spare tire too, and have your tires rotated according to your owners manual. These two tasks will prevent under-inflated tires and poorly aligned wheels from taxing your engine, and that saves gas. Ask to have your brakes checked for safe operation and to avoid more costly repairs that can develop without regular, periodic maintenance. And trust your local Goodyear tire dealer to help you get the most out of your tires no matter what the weather. Winter is coming. Is your car ready? When you need dependable automotive service and quality tires near Fairfax Station, VA, depend on the auto experts at Wiygul Automotive Clinic.